The UFC Unstoppable press conference featured fighter trash talk at its finest… or should we say worst? We’ll let you decide. Anyway, none of the fighters on the dais pitched the more perfect insults than UFC bantamweight champion Dominick Cruz and his next challenger, Urijah Faber. 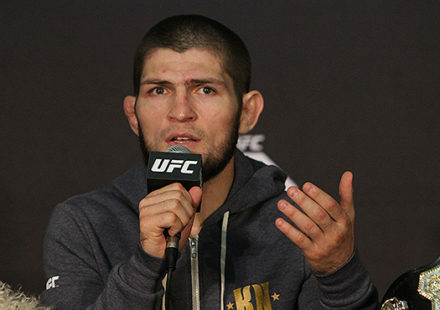 Cruz flung old man insults at Faber, while The California Kid questioned the champ’s fragility. Their pot shots hit a crescendo when Cruz accused Faber of constantly talking his way into undeserved title shots. Faber has failed in all three of his prior bids to win a UFC belt. The two have a storied history in the fight game, having met twice before, each man having once defeated the other. They aim to settle the score at UFC 199: Rockhold vs. Weidman 2 on June 4, 2016, in Los Angeles.